Have you ever wondered how those images leap out of the screen when you are watching it in 3D? We all have enjoyed the occasional movie in 3D and jumped and squirmed in our seats while watching it. If you have always wanted to know what makes this format such an immersive experience, but didn’t know whom to ask, then worry not. We are here to cast away all doubts and shed some light on the new revolution that’s happening in Hollywood (read: cinema). If you think of 3D as a superhero, then it must have an origin story. It was all the way back in 1838 that a chap with a serious sounding name, Sir Charles Wheatstone developed the first ever 3D technology. Stereoscopy was the name given to it. The process was a simple one: lay two similar images one on top of the other, and let the eyes and brain do the rest. Yes, the entire magic of 3D has got to do with how we perceive objects and the world around us. Since our eyes are separated by a tiny distance (50mm to 70mm), each eye perceives the same thing differently. When we see the two similar images, our brains process the information and what we see is 3D. 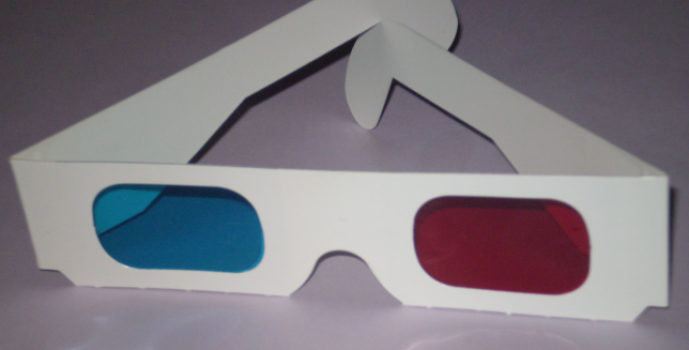 The 3D process in movies follows the stereoscopy process. Now you may think what’s the big deal about it? Get two images, lay one on top of the other, and voila! You have the next Avatar. We hate to prick your bubble, but it is not as easy as that. For one, our brains are powerful processing biological machines; the cameras, on the other hand, are not as competent. This is where millions of dollars are pumped: to make the moving image appear in 3D. 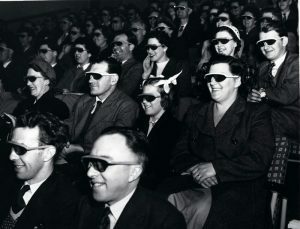 It all began with the simplistic red and blue 3D glasses, where the film was projected in the two colours. Then it shifted to polarized glasses that accommodated more colour than its predecessor. Today, we watch 3D movies with glasses made for rotational polarity: one image rotates clockwise, while the other rotates anti-clockwise.